The Ford Escape is one of the few compact SUV models that can still handle the roads less travelled and adventures you’re driven to seek when behind the wheel of a sports utility vehicle. It’s compact enough for busy, city traffic without breaking the bank on gas, and powerful enough to make it up mountain terrain or sandy dunes. 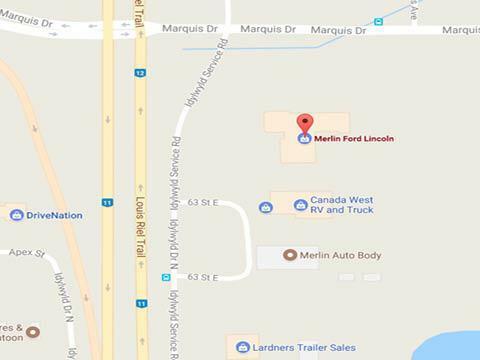 Looking for a Ford Escape near Martensville? Make Merlin Ford your first and only stop. The most recent Escape to hit the market comes with a number of different package options, including the S, SE, SEL, and Titanium. Each of these models comes with its own set of unique upgrades, so you can personalize your ride. A sleek, sporty exterior leaves a lasting impression, while the interior is comfortable with many convenient technologies on hand. For more information and to get a better look at our lineup of Ford Escapes near Martensville, visit Merlin Ford located at 3750 Idylwyld Drive N. in Saskatoon, SK, or call us at 306-931-6611. Stop by today and one of our helpful sales associates can take you for a test drive! We’ve got the largest on-site Ford Escape inventory for sale in Saskatoon. We offer free detailing with every service for your Ford Escape- now for sale. We’re proud to be the only official ROUSH dealership near Martinsville! Merlin Ford is proud to provide one of the largest selections of Ford vehicles in the Martensville area. 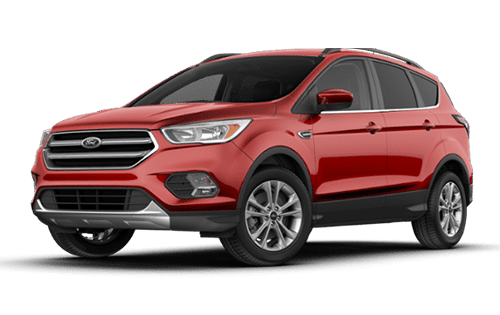 This includes different models of our Ford Escape including the S, SE, SEL, and Titanium trim levels, which come with upgraded features to make your drive more enjoyable. Our friendly sales team will go through your list of must-haves, and match you with the Ford Escape that’s perfect for your next escape! At Merlin Ford, we’re proud to offer both brand-new and previously owned models of the Ford Escape. Buying pre-owned doesn’t have to be scary when you choose to work with Merlin Ford. We thoroughly inspect all of our used models before they make it to our lot, so you can be sure you’ll get a vehicle that has come up to our standards. This saves you time and money – something you won’t be guaranteed when buying online or directly from an owner. Make those long road trips seem shorter in the Ford Escape! The most recent Ford Escape has been designed with quality material fabrics, convenient technologies, and smart storage. 60/40 split rear seats help keep the clutter at bay without sacrificing your passengers’ space or comfort. A large centre console also gives you room to store house keys, your cell phone and other important items without having to reach over to the glovebox. At Merlin Ford, matching customers with their dream vehicle is more than just our profession — it’s our passion! To us, you’re more than the next customer in line or the next appointment in the system. That means you can rest assured our staff will assist you with your purchase without pressuring you into a decision. We want your car-buying journey to be easy, stress-free, and most importantly, fun. When you’re shopping for your next Ford car, truck, or SUV, you expect the best. At Merlin Ford, we deliver! We’re proud to offer Saskatoon’s largest lineup of new and used Ford vehicles. But we provide more than an impressive inventory. At Merlin Ford, we’re committed to providing the kind of exceptional, world-class dealership experience you’d expect from a representative of the Ford brand. No matter what your automotive needs are, you’ll find an unwavering dedication to your satisfaction in every department. We’re with you every step of the way, from “just looking,” to seeing your new or new-to-you Ford vehicle parked in your driveway. But our amazing service doesn’t end there! The trained technicians in our service department can help make sure that your Ford vehicle continues to exceed your expectations for kilometres to come. Stop by, and see how we can do more for you. You can find us at 3750 Idylwyld Drive N. in Saskatoon, SK, or call us at 306-931-6611. The staff at Merlin Ford are always welcoming and friendly! I bought a 2017 Ford Explorer from Tim Backstrom. He helped me find the right vehicle I needed for me and my kids to enjoy. He gave me a great deal and went above and beyond his duties and made sure everything was all good to go. Tom Geenan went to every possible length to ensure we were happy and satisfied purchasing a vehicle for my wife and growing family. Tim in finance was very easy and quick to deal with and the entire team at Merlin did a fantastic job all around. For any of your new or used vehicle needs, get in touch with Tom Geenan. I know we will in the future. World Class! Keep it up! Just picked up my new Mustang GT this morning! Tom Geenan has now sold my husband and I 6 vehicles. We trust that he will have our backs and has always gone above and beyond for us, including going the extra mile when my husband had his truck stolen last year. We will keep going back to him! Thanks again, Tom!